The Paris-Frankfurt line of the SNCF railways. Software that monitors suspicious behaviour and luggage could eventually be integrated into 40,000 surveillance cameras across France as the country tightens security after last month's deadly Paris attacks. 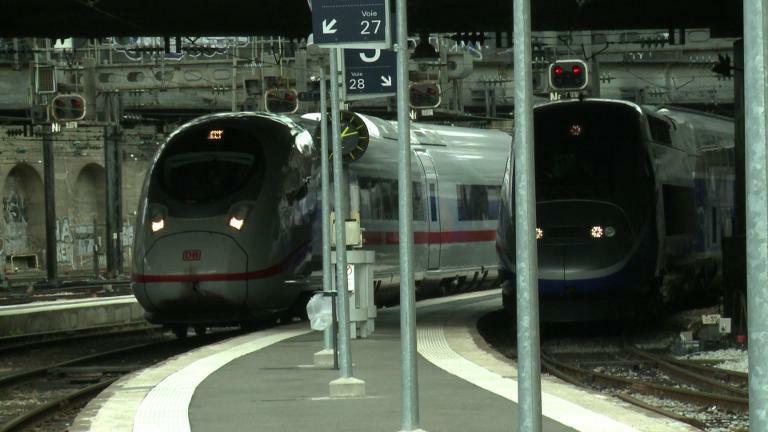 The new software being tested by France's state-owned SNCF tracks changes in body temperature, raised voices and jerky body movements that can indicate heightened levels of anxiety, the rail firm's general secretary Stephane Volant told AFP. In addition, cameras that detect packages left unattended for too long are also under evaluation. The SNCF will also launch a new app in the spring allowing passengers to raise an alert from their smartphones and a law could come into effect giving SNCF security agents powers to perform security pat-downs and luggage searches.